And thus, a full circle gets completed. For 20 years now, Lemongrass spoils us with the finest of Lounge, Chillout and Ambient sounds. Highly variable in an ever stylish manner, Roland Voss aka Lemongrass masters the balancing act of constant self-renewal with bravura, without loosing loyalty to himself and his own art. As a result, three generations of relaxation seekers are honouring him, as a reliable source for high-quality, top-notch sounds. 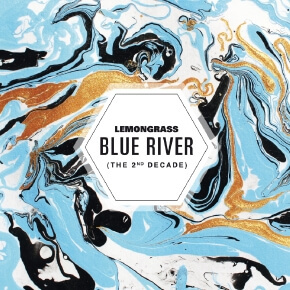 Ten years ago, the legendary label Mole Listening Pearls dedicated a best-of compilation to Lemongrass, which was one of their highly reputed, best selling acts so far. Released as “Beach Affairs”, a huge bunch of exciting music gathered, impressively reflecting, why Lemongrass got lifted up into the heavenly fields of Lounge culture, already in the early years of the genre. Insofar, it made sense, that “Blue River” focuses on the second decade, the past 10 years. Chosen from an incredibly rich fundus of songs, ranging from Ambient and Chillout to NuJazz and Lounge to Chillhouse, Roland Voss selected 28 songs, which are particularly dear to him. The result is like an auditory hug, warm and heartfelt, as familiar as a close friend. Also the name of the compilation hasn’t been picked at random, it is a deliberately chosen play of words. 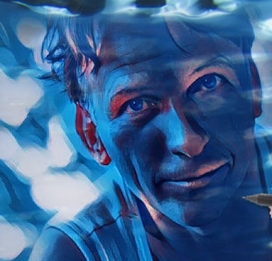 Whereby “blue” stands for the blue hour of Jazz, while “river” portrays the everlasting flow of things, striving to dissolve in the sea. This “blue river” is pure listening pleasure and balm for your soul, and at the same time as cool as a “widescreen” effect for every lounge session.